Sherwood Grange Retreat "Moonlight Cottage"
Property 19: Sherwood Grange Retreat "Moonlight Cottage"
Property 22: Walk everywhere! Centrally located! 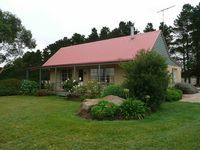 Property 23: Sherwood Grange Retreat "Sunrise Cottage"
Kara's at Bungal..Romantic Getaway or Staycation...New Listing! 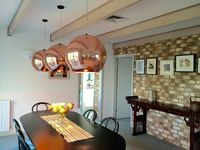 Property 24: Kara's at Bungal..Romantic Getaway or Staycation...New Listing! GROUP ACCOMMODATION! Sleeps 2 to 10 maximum. Family-friendly - pet-friendly. Property 26: GROUP ACCOMMODATION! Sleeps 2 to 10 maximum. Family-friendly - pet-friendly. We had a wonderful weekend. The house is large and so quiet. Most of the time was spent relaxing in the house and on the lovely big deck with gorgeous views of the garden and the golf course. Really lovely. Perfectly appointed with the added bonus of catching a trout for dinner. We'll be back!